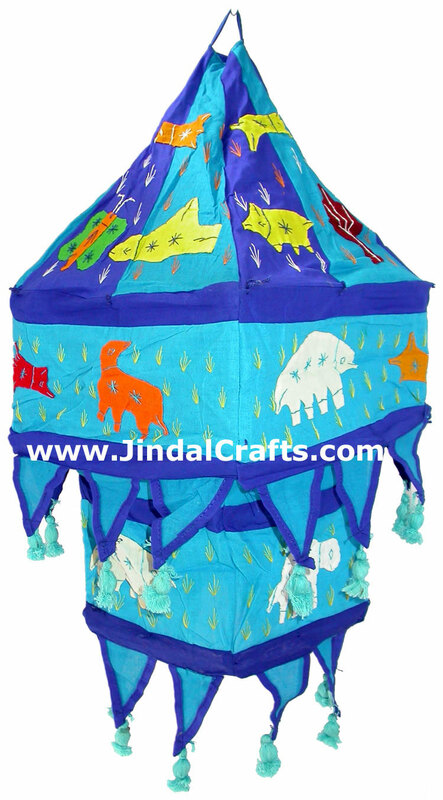 Description: This is colorful lampshade in shape of start fish to decorate home, office etc. 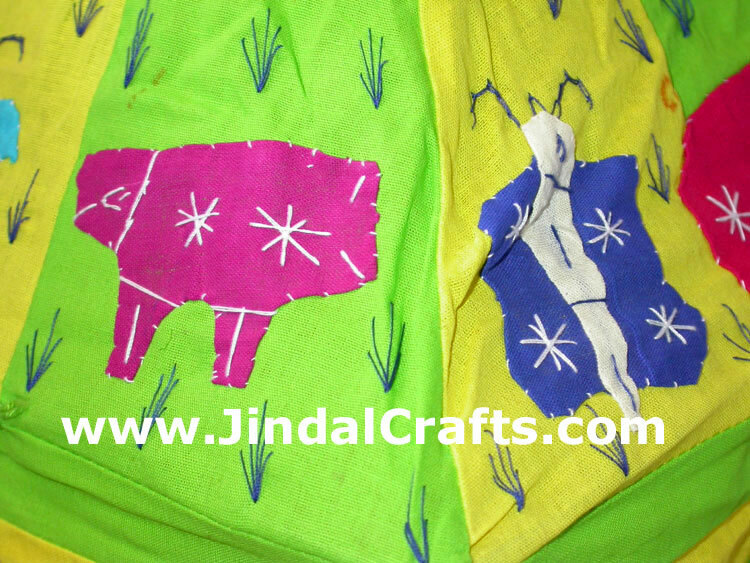 Applique, which is a French term, is a technique by which the decorative effect is obtained by superposing patches of coloured fabrics on a basic fabric, the edges of the patches being sewn in some form of stitchery. 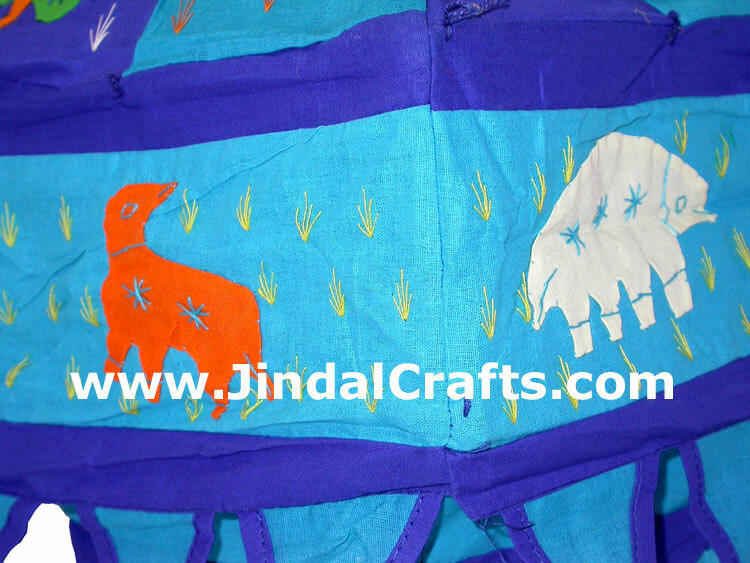 It is distinct from what is known as patch work in which small pieces of cut fabrics are usually joined side by side to make a large piece of fabric or for repairing a damaged fabric. 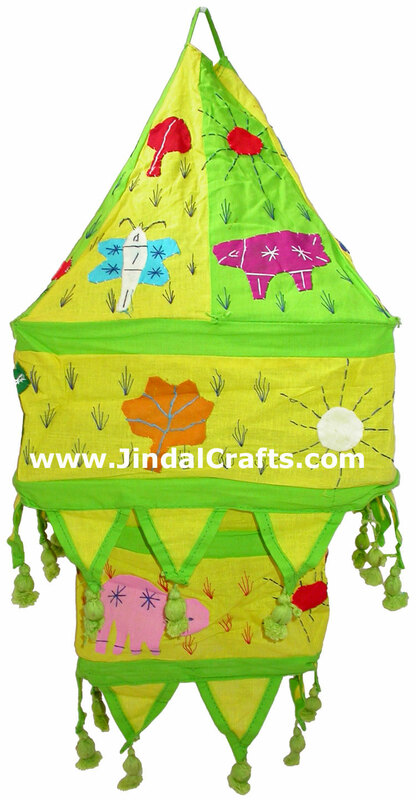 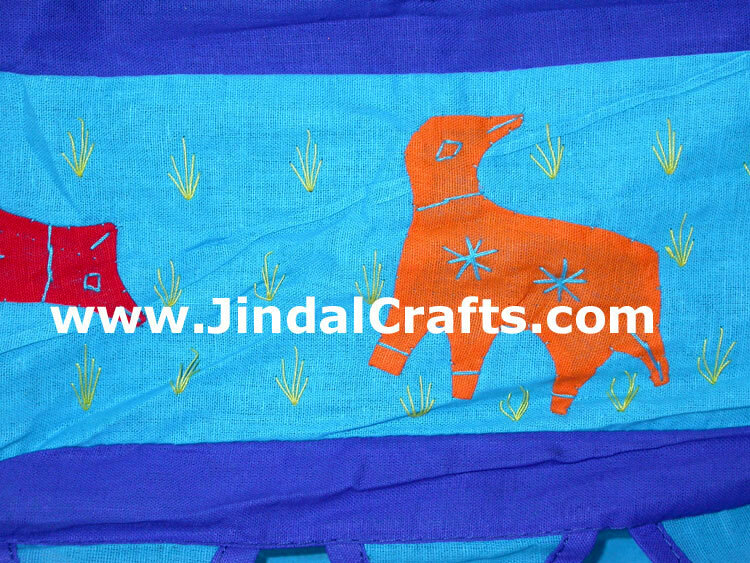 Applique art is the process of cutting coloured cloth into shapes of animals, birds, flowers, leaves and other decorative motifs and stitching them on to a piece of cloth that can ultimately be used as a umbrella, a hand bag or even a lampshade.